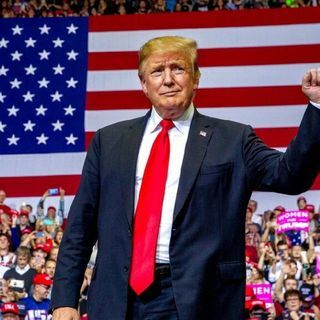 Trump declares 'Russia hoax' dead, rips Democrats and FBI at Michigan rally as he eyes 2020 3.29.19 #MagaFirstNews with @PeterBoykin TRUMP VICTORY LAP: President Trump, fired-up in his first major rally since Special Counsel Robert Mueller cleared him of any collusion with Russia, ripped the FBI and Democrats and accused his political foes of trying to defraud the public with "ridiculous bulls--t" ... Declaring the "Russia hoax" dead, Trump predicted that the ... See More former Department of Justice and FBI officials who pushed the collusion theory and authorized secret surveillance warrants against members of his campaign would soon have "big problems." TRUMP CAN'T WAIT TO CAMPAIGN AGAINST AOC'S GREEN NEW DEAL: At his rally in Grand Rapids, Mich., Thursday night, President Trump also took the time to mock the Democrats' Green New Deal in perhaps a preview of his 2020 re-election campaign ..."I'd rather not talk about it tonight, Trump told his audience, "because I don't want to talk them out of it too soon. Because I love campaigning against the Green New Deal. I want them to make that a big part of their platform."